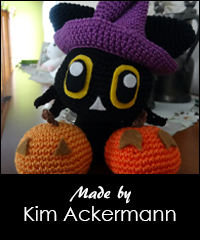 My first pattern for Halloween this year: Wizard Cat! Halloween is still months away, but I guess you can not start early enough. This amigurumi is inspired by an illustration of Daieny Schuttz.